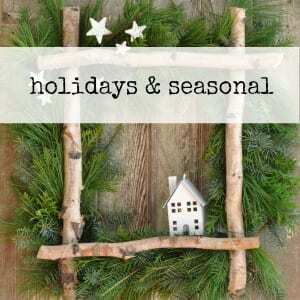 It’s so fun to make handmade beautiful things, especially for Christmas. 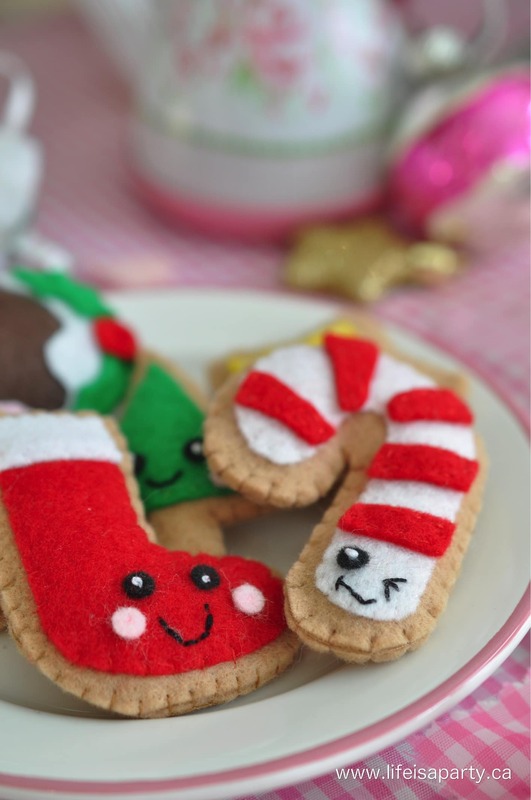 I shared this little craft for Felt Food Christmas Cookies a little while ago over at I Heart Naptime, but just incase you missed it, today I’m sharing it here. 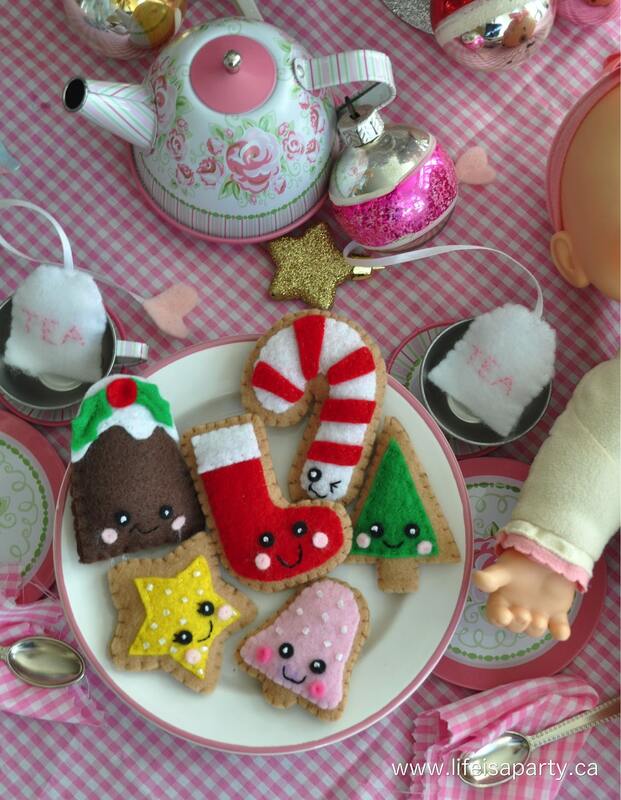 When my girls were little they loved playing with felt food, and now these are the perfect holiday gift for the little ones in my life. They’re very easy to make, and their little faces are sure to make them a hit with any shopkins fans in your life. 1. 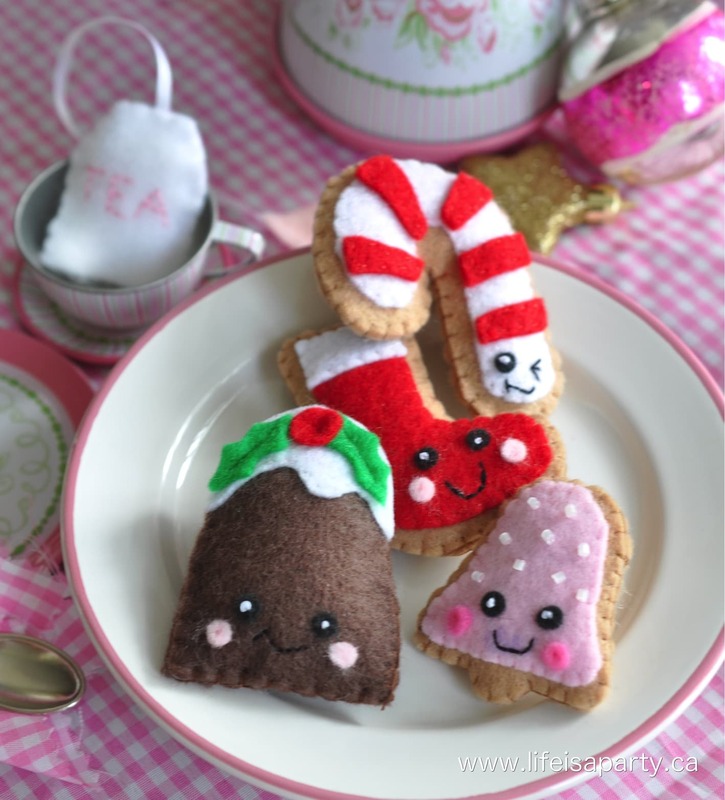 Use Christmas cookie cutters to make a pattern for your felt cookies. 2. Cut out two light brown felt shapes as the cookie front and back, and then colored “icing” pieces, slightly smaller than the cookie pieces. 3. Start the sewing with adding the face. Cut two small black felt eyes, and pink felt cheeks. 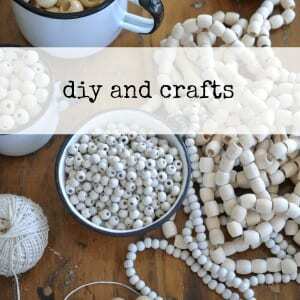 Use the white embroidery cotton and stitch one french knot as the center for each eye. Next is the mouth stitched with black embroidery cotton using the backstitch. I found it really helpful to use a disappearing marker (you can find at the fabric store) to mark the mouth and get just the right expression before stitching. 4. 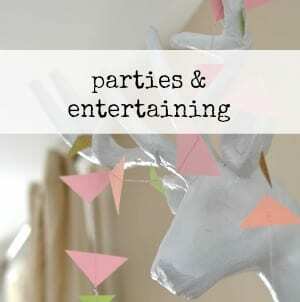 Add any other embellishments, like bead “sprinkles”. 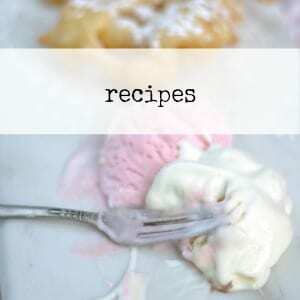 Next, sew the “icing” to the cookie piece. 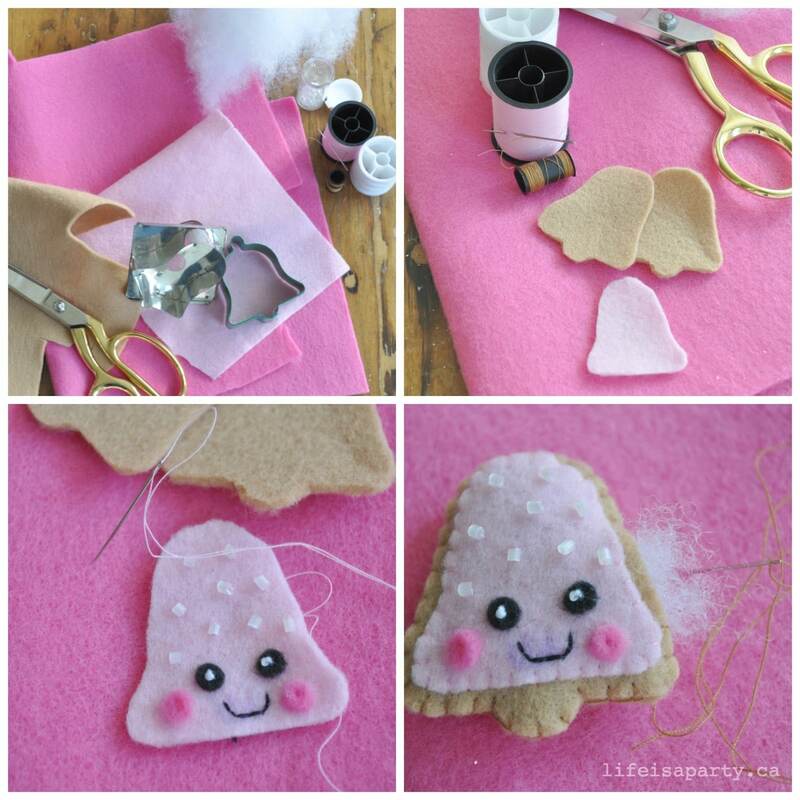 Then, sew the the cookie pieces together using the blanket stitch. Leave a small hole for the stuffing. Once it’s lightly stuffed, stitch up the hole and your cookie is finished. 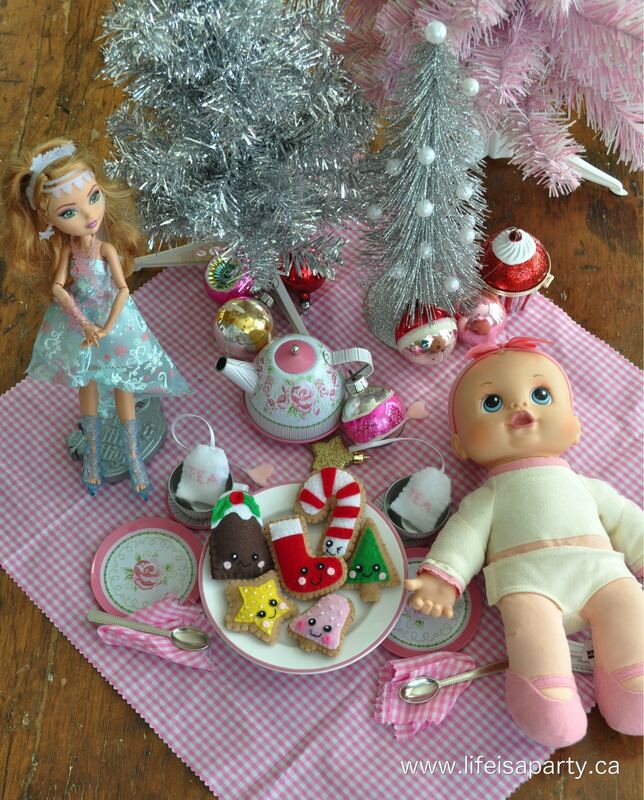 These are perfect for little ones to enjoy their own Christmas tea parties over the holidays. I made a few different cookies: a bell, a star, a Christmas tree, a candy cane, a stocking, and a little Christmas pudding. The most fun is choosing all the different expressions on their cute little faces. 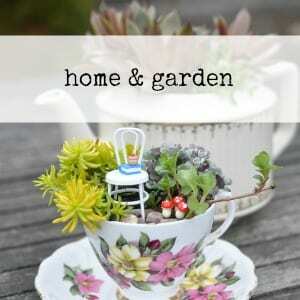 These would make the perfect handmade gift for the holidays. Happy sewing! 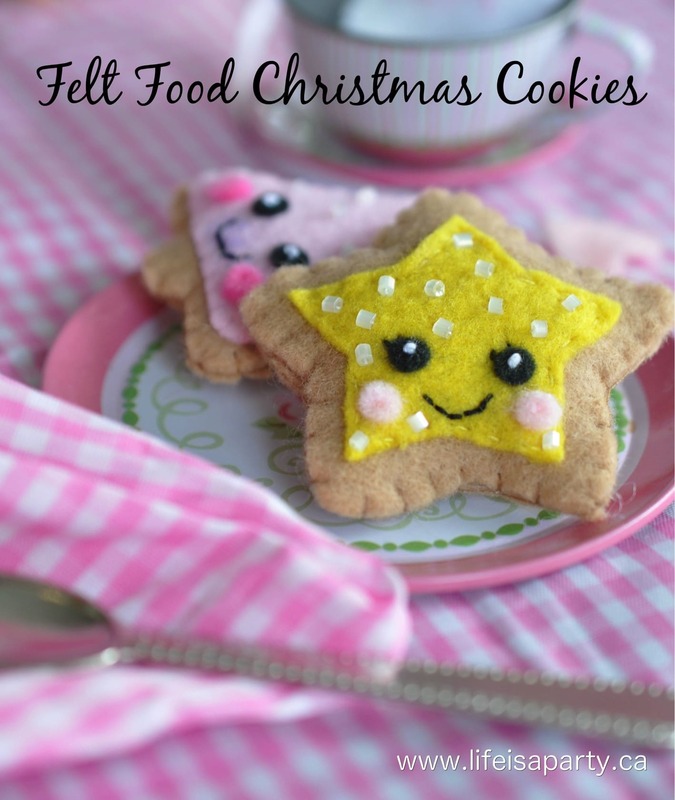 With homemade Felt Food Christmas Cookies, life really is a party! I’m dying over the cuteness!!! 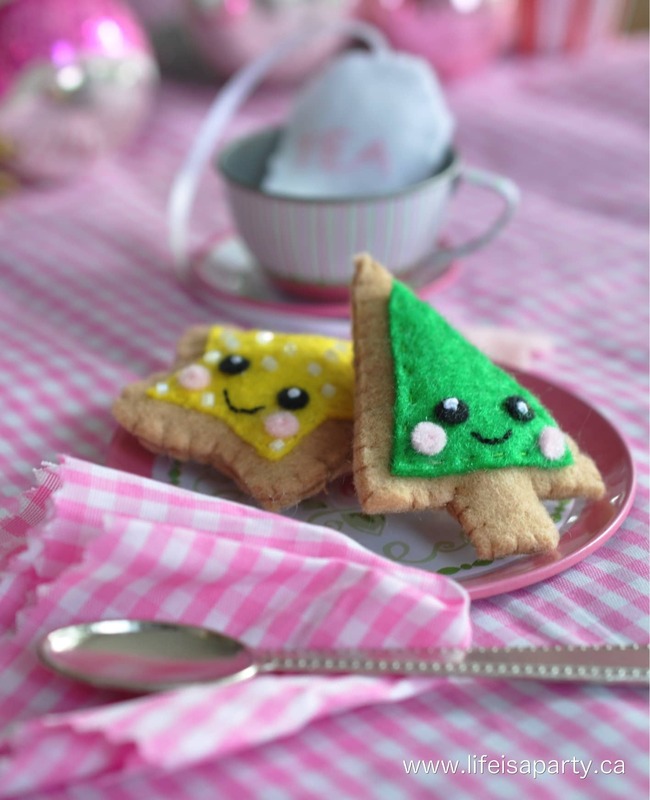 I really want to try these, but may have to wait until Valentine’s day for felt heart cookies! Sue, these would be great as little hearts for Valentine’s Day too, great idea.